Who Can Benefit From Interior Redesign Services? Our Affordable Budget Interior Home Decorating Services is your resource for decorating your home on a budget. We find that many people are looking for ways to save money on home decorating, but they still want a designer look. We have an expert approach to create appealing home décor that compliments your style and stays within your decorating budget. You can still create a great looking home on a budget we will customize an affordable budget decorating plan for you. We begin by taking an inventory of items you have. Select the items that must go and which items can stay. Rearrange and organize what you already own to create a new look. Receive professional advice on how to reuse, refurbish and paint existing furniture. Shop our resources to find bargain designer furniture at great prices. Tips on buying furniture and accessories that are timeless and worth the investment. Benefit – We come to your home and bring the decorating ideas to life. Affordability – We work within your budget and provide you with economic value. Redesign + More Experts – That is the best part. You will get a professional and trained interior decorator that knows how to turn your house into a home. 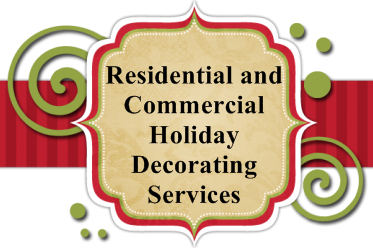 Professional Company providing Interior Design, Interior Room Redesign, Real Estate Home Staging Services, Holiday and Event Decorating Services, in Charlotte NC, including South Charlotte, Weddington, Concord, Mt. Holly, Huntersville, Cornelius, Davidson, Belmont, Lake Norman, Mooresville, Statesville, Hickory, Winston Salem North Carolina & South Carolina. "Creating a new view - one room at a time"